ISLAMABAD — A suspected American airstrike in northeastern Afghanistan has destroyed a Pakistani Taliban-run suicide bombing training center, killing more than 20 militants. Afghan officials confirmed and released few details of the attack Thursday, a day after it occurred in the Kunar province bordering Pakistan. 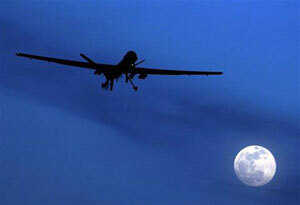 But he would not say whether U.S. drones or jet fighters bombed the militant compound. “We were not aware of this report and have no additional information to offer,” a NATO spokesman in Kabul, U.S. Army Captain Tom Greshback, told VOA when asked for his comments. Pakistan intelligence sources have also confirmed the attack, saying missiles fired from a U.S. drone struck a facility where members of the extremist Tehrik-e-Taliban Pakistan, or TTP, commonly known as the Pakistani Taliban, were receiving training for suicide bombings. The Pakistani sources have said 21 men were killed in the strike and released their names. The camp’s “master trainer,” Qari Yasin, and a son of TTP’s fugitive chief, Mullah Fazlullah, were on the list along with another key militant commander. Fazlullah would also frequently visit the training camp, but it was not known whether he was present there when the drone strike occurred. Pakistani media quoted a TTP source as saying would-be suicide bombers were undergoing routine training when five missiles fired by an unmanned U.S. aircraft struck the center, dealing a “disastrous” blow to the militant group. Islamabad maintains militants and top commanders linked to TTP have found sanctuaries in Kunar and adjoining Afghan province of Nangarhar after fleeing Pakistani counterterrorism operations and plot deadly terrorist attacks against Pakistan. U.S. military commanders say that about 75 percent of militants filling the ranks of Islamic State terrorist group in Afghanistan are former TTP members. American drone strikes and fighter planes have killed many top Pakistani Taliban commanders and several IS chiefs in eastern Afghanistan since the Middle East-based terrorist group began its extremist activities in early 2015. The slain militants included Pakistani commander, Hafiz Saeed Khan, who founded IS Afghan branch and led the terrorist group until July 2016 when a drone strike killed him along with several aides. The Pakistani Taliban last month confirmed the killing of its deputy chief, Khan Said Sajna, in a U.S. drone attack in the volatile border region between Afghanistan and Pakistan.